I don’t really have a ‘running history’. Before joining OS I hadn’t even ran so much as a parkrun – I always played football and that’s what kept me fit. When and how did you start running for OS Runners? I joined OS Runners back in October 2017. At the time I wasn’t playing much football and so needed something to keep me going, some encouragement from also Lucie helped. 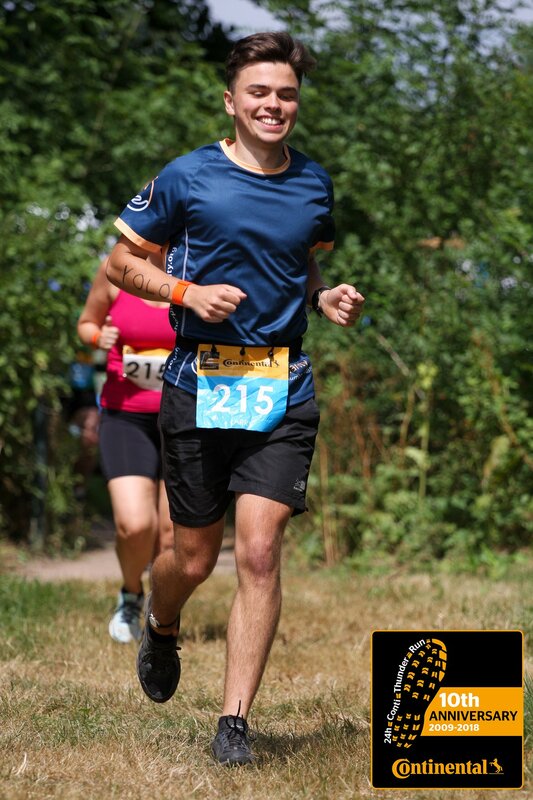 Here I am 8 months down the line with my first Thunderrun in the bag. How often do you train and what sessions do you do outside of the club? I try and train at least 3 times a week. This generally involves a mixed ability type session (my favourite), a Friday club run and then usually a longer’ish run at the weekend. Which is more satisfying… going for a training run or running a race? Race! I’m quite competitive so racing brings the best out of me, nothing more satisfying than knowing you couldn’t give more. What is your running highlight so far? The overall experience of joining OS Runners and catching the bug has been great, but Thunderrun would have to be up at there at the top. Get faster! A sub 17-minute parkrun would be amazing. What’s the most valuable piece of running advice you’ve ever been given? Don’t go out too hard. Easier said than done as a newbie runner but I’ve quickly learnt my lesson. Southampton common is a favourite of mine. Do you have any running experiences you’d care to forget? Not yet, fingers crossed it stays that way. Do you have any other passionate interests? Finally, which other OS Runner do you most admire?